Keep track of your inventory KPIs - revenue, profit, turnover, gross margin, and others. See how fast your inventory is moving and compare it over time. We utilizes Inventory Planner to see how individual SKUs are performing, and how they should plan on the manufacturing side. With Inventory Planner you can easily surf through your data and get valuable information. 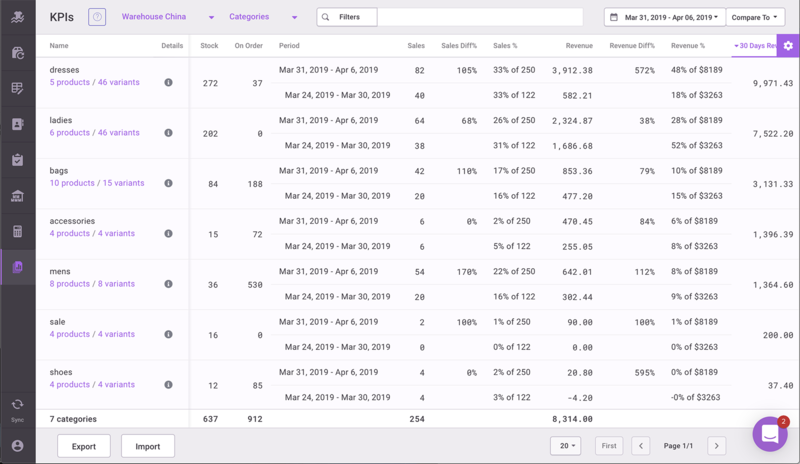 You can see which part of your inventory generates the most revenue and profit. Drill down into any category or brand and spot the contribution of each product. Inventory Planner keeps track of stock levels for each product from the moment of installation. It allows you to get inventory KPIs, such as turnover, markup, stock cost on any day in the past. Investing in suppliers with high turnover is a great way to grow your business. Date comparison makes it easy to evaluate the performance of inventory over time and see the impact of changes. 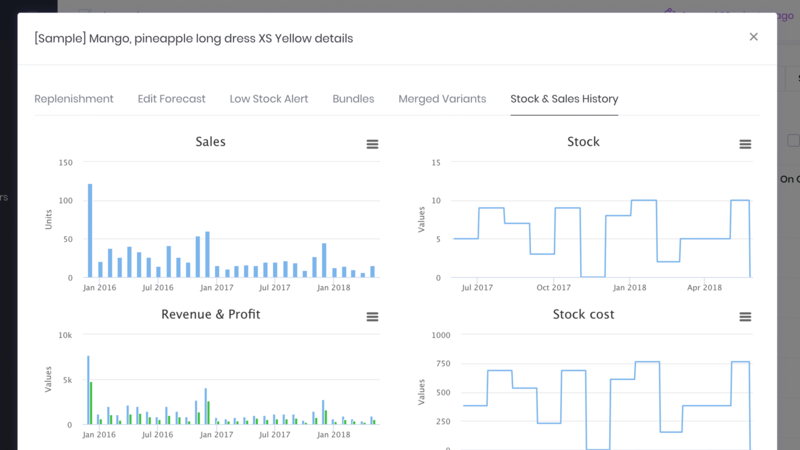 You can easily compare sales to prior period or prior year, detect trends even with day of week variations, and download date comparison reports to Excel. Make in-depth assortment analysis and spot the current trend in colors, patterns, and sizes. 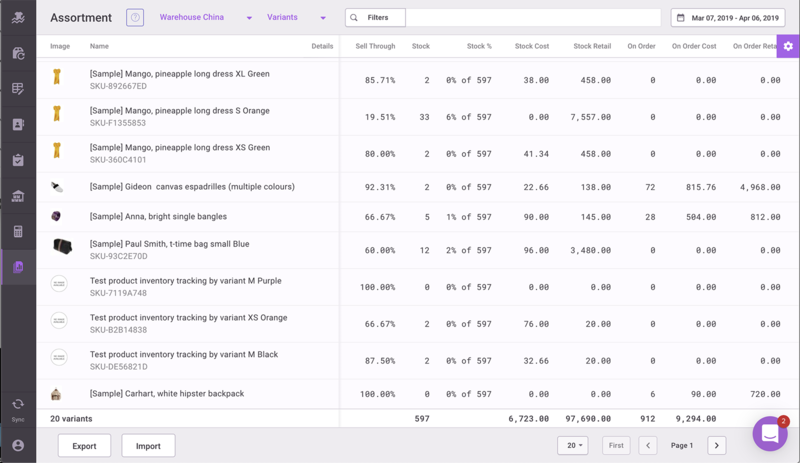 Compare and benchmark assortments for features filling gaps in your inventory backed by insights.